Miami Vice 1 is ideal for couples that are ready for an intimate, oceanfront getaway on Turks and Caicos. There are several key features: from the infinity pool just a few steps out of the living room, to a water-facing patio and bedroom balcony, to your own walkway into the sea. Guests have access to provided kayaks and paddle boards, so you can easily get to gorgeous Sapodilla and Taylor Bay. Chalk Sound is also within walking distance! Modern villa on Sapodilla Bay! Miami Vice 1 is located just steps away from pristine Sapodilla Bay, which is one of the most picturesque beaches on the island. This fully air-conditioned villa is perfect for couples who want to be in a peaceful setting away from the crowds. A set of stairs leads down to Sapodilla Bay, where guests can kayak or paddle board along the coast. The villa has its own spacious, private pool with lots of room for swimming and floating. A shaded dining patio borders the pool on one side, and loungers border the other. The patio leads into the ground level living area, which blends with the gourmet kitchen and breakfast bar. The Master Suite takes up the entire upper level with a king-sized bed, modern ensuite bathroom, and a 32” flatscreen TV. Its private balcony has stunning ocean and sunset views, and there’s even a sitting area to enjoy a cocktail or cup of coffee on. The villa is within walking distance to Chalk Sound and Las Brisas Restaurant. Grace Bay is about 20 minutes away, so guests can easily explore the island’s varying activities and beaches. Just around the corner from the pristine beach at Sapodilla bay! You are provided the first $150 per week of electric cost at no charge. This was my husband and I’s 5th time on the island, but it was our 1st time at Miami Vice. We are already talking about a 2-week return in the future. This villa was perfect for us. It was clean and trendy and had a very comfortable bed in the 2nd floor oceanfront bedroom, plus a balcony with tables and chairs. We never ran the a/c, just left the house open and had a full breeze from the upper back balcony to the front oceanfront balcony. The pool was immaculate, with a variety of chairs and tables. The pool has privacy from Miami Vice 2. There were steps that led down to a little sandy inlet shared with the other villa, and we loved having the ocean access, nice kayak, and paddle board to use, especially with the villa’s location midway between Taylor and Sapodilla Bay. We had everything we needed at the villa and check-in was quick and easy. Las Brisas Restaurant overlooking Chalk Sound is about 1 minute from the villa or a quick walk, and it’s 10-15 minutes to most restaurants in town. Our only issue all trip was never wanting to leave this villa! We have been working with Andrew since 2009 when he booked our 1st trip to Turks. It was our 1st villa rental for our honeymoon, and it was perfect!!! He has booked 4 other Turks villas and an Anguilla villa for us, and we have loved every one of them. He does an amazing job at getting to know your style and what you want in a villa and has never missed the mark for us. Whether it is just my husband and I going or a whole group, Andrew knows what we want. He and his team have seen many of the properties that they are listing, so they have real knowledge of the villas and property management. He has also been to the islands himself, so he is always very helpful by handling arrangements or suggesting restaurants, a personal chef, groceries, car rentals, excursions, etc before you leave. Andrew is always quick to respond to emails, and he’s so easy to work with, I would recommend him to anyone. We just returned from a week at Miami Vice 1, and absolutely loved the property - it was extremely clean and well-maintained. Every other positive review is spot on. Here’s a few extra helpful hints: another guest shared a concern about no kitchen table - but the coffee table top pulls up to table height and has storage inside. The sofa is a pull-out queen. Bring ground coffee from home. The grill was clean and worked great. If you want to take Bambarra rum/cakes home, buy them at the airport Duty Free shop after you go through security. The airport has a 2nd level patio waiting area outside with a bar. There is one two-man kayak and one paddle board at this property. If MV2 neighbors are friendly, you can ask to borrow their equipment. Take paddle boards out to the right; there’s an awesome hidden sandy beach cove on the other side of MV2. Taylor Bay is a public beach, but you can easily avoid all security issues involving entrances and car towing by kayaking there. Sapodilla Bay is very easy to paddle board/kayak to even if it’s windy. We felt very safe here but crime has increased over the years. Avoid Bugaloo’s after dark. Restaurants with the best bang for the buck and great food are Las Brisas, Caicos Bakery, Mr Grouper’s, and the Thursday Night Fish Fry on Grace Bay (Coconut Grove). The outside seating at Baci is charming, make sure to save your food to feed the little sharks. Loved it - We’ll be back! Andrew and WhereToStay book so much that we feel we benefit from their positive influence with property managers/owners. Andrew will give you excellent advice about the best properties. 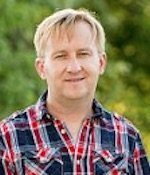 He’s traveled so extensively that every time we inquire about a specific property, he’s personally been there and can easily answer all of our questions. One time, my husband and I booked our own excursion, and it didn’t end well. Even though Andrew didn’t book it, he not only contacted the owner of the excursion, he filed a formal complaint on our behalf with the Minister of Tourism. Andrew goes above and beyond for his clients. We trust him and won’t book a trip without him! We had a wonderful week by the bay at Miami Vice 1, a nice and private piece of paradise. It is the perfect villa to get away from all distractions. Always remember to stock up on provisions, as it is a long drive to stores and restaurants. As usual, WhereToStay.com took care of all our needs prior to and upon arrival. Sharon was a joy to work with and stayed on top of the details so I could focus on fun and sun! We absolutely LOVED Miami Vice 1 and would highly recommend it to anyone looking for a private luxurious retreat on the island of Turks and Caicos. The house has everything you could need and was very high end. Check-in was seamless and super easy. I would definitely return to the villa and would recommend it 100x over! Our service from WhereToStay.com was amazing! Loved working with Sharon and definitely plan on doing it again in the future. We couldn’t be happier with our time at Miami Vice 1. From booking to check out and everything in between, it was a 5 star experience. The home and views exceeded our expectations for sure. We felt very safe and comfortable and the whole time we were there, we were figuring out when we could come back. We visited during the start of “off season” so there was literally no one around, which we loved. The houses on either side were vacant so we felt that we had complete privacy which was lovely. Overall we really could not be happier with our decision to stay here, it was perfect. The house was well equipped, and we rarely wanted to leave but when we did, we were provided great reccommendations on things to do in the area. The villa, being on Chalk Sound is a little ways away from the touristy area (Grace bay) so it is a drive to get to anywhere. Its a small Island so its a short 20 mins to basically anywhere but my husband and I agreed that it was integral to have a rental car. Perfect! Sharon was amazing, so helpful and a pleasure to work with. We had a wonderful time during our week-long stay. The villa is beautiful, absolutely clean, quiet, spacious, and private. We’ve been married almost 30 years and wanted a quiet beach vacation where we could focus on each other. Miami Vice really fit the bill. The ocean view is breathtaking. The pool is clean and private. The staff are readily available and professional. If you’re looking for oceanside accommodations, we highly recommend Miami Vice. We we likely return with additional family to The larger Miami Vice Villa next door. Lastly WhereToStay.com gave great advice which made our vacation smooth and memorable. You'll never want to leave!! Miami Vice was exactly what we expected as so much more! The pictures make you want to go and once you arrive, you’ll never want to leave. The location, the decor, the layout of the villa was perfect. 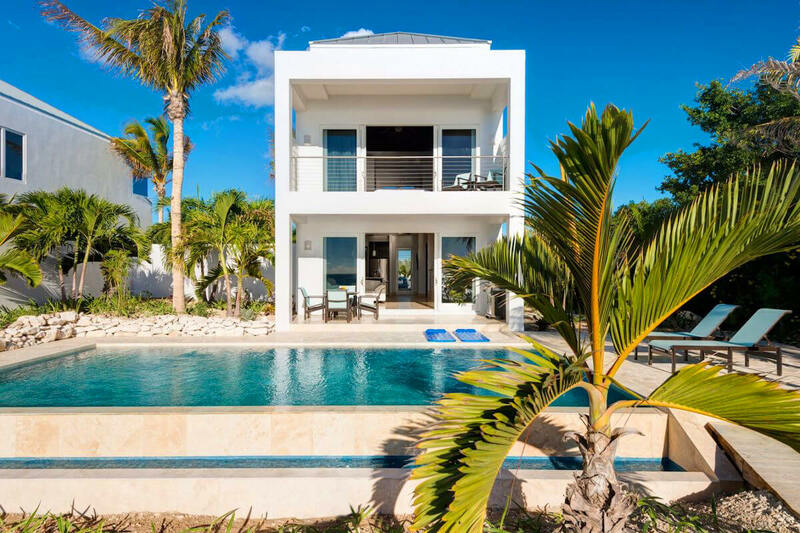 Each window and door has a view of Turks and Caicos majestic water. It was spotless upon arrival and the maid that came by during the week helped to keep it that way. Words do not describe how amazing Miami Vice is….the pictures are the best description. Whether you’re sitting on the balcony, poolside, or oceanside…you’ll be in heaven. There are steps which lead you down into the oceans white sand and turquoise water to explore by paddle board or snorkeling at your leisure. We saw starfish, hermit crabs, and fish. We paddle boarded around the point which led us to an almost private beach. I wish we would have stayed two weeks. We will be returning to Miami Vice!! Sharon was absolutely wonderful to work with from the very beginning of getting this trip booked. The process was so smooth and relaxed. She emailed us places to eat and things to do. Also, she made sure that someone was at the villa upon our arrival to welcome us and make us aware of the villas ammentities. I will be calling Sharon again. Hopefully sooner than later! We spent our 25th anniversary at Miami Vice 1 and had a great time. The views were amazing and the ocean was a few steps away. We enjoyed paddle boarding everyday and the pool is lovely. Thanks to Andrew and the wheretostay.com team for making this happen. Amazing. Andrew helped us pick out restaurants, dive shops, and great beaches. Overall, a super experience. Our stay at Miami Vice Villa was far beyond our expectations! We went for our 5 year anniversary and had a great time exploring the island! This villa was perfect for our anniversary, plenty of privacy, the pool was great and only a few minutes away from both Sapodilla Bay and Taylor Bay which was our two favorite beaches! Everything about the villa was top notch! Would definitely stay again and recommend to others! Andrew was very helpful throughout the booking process and made everything very clear and easy to understand while booking! The villa was everything I expected it to be and then some. It was immaculately clean, aesthetically stunning, ideally located for privacy and a bit of a secluded feel, yet a close drive into town. I will return again and highly recommend the villa to others considering renting a property versus a resort stay. The process of booking the villa was seamless. Andrew was a pleasure to work with! We were first timers to the island, and this cottage made the stay and introduction to the island perfection. Everything was clean, modern, and just great. We were within 5 minutes of two beautiful beaches (with a car rental - you need a car in this area). All amenities in the cottage were super, and your liaisons to the property were friendly and very helpful (I was introduced to the property by Andrew (GREAT), and then we had Theresa on site to welcome us and start us up (she was very nice as well!). We’ll be back to this cottage for sure! Andrew was AWESOME. He took the time with me, gave great information and made our trip fantastic. He really was the reason I went this route and his attitude and guidance was key.